Social media is time consuming. Posting, commenting, and replying can often seem like a full time job. Do you feel like you are neglecting other work in order to try and promote your business via social networks? If so there are a few steps you can take that will make the time you spend on these sites the most productive it can be. The simplest step is to make sure you know who you’re talking to. Many of us don’t consider the audience we are addressing when writing posts, but this may be the reason that your statuses are not getting the level of interaction you expected. The images, language, and to a certain extent, colours we use can all repel as well as attract potential customers. A middle aged customer for instance is unlikely to be interested in a graffiti style image accompanied by a slang filled caption. Similarly a young person isn’t going to want to buy a product worn by a person in their advanced years. It is quite obviously unrealistic to click through every one of our followers and fans in order to note their age, gender, and income bracket. Luckily the subject of social media demographic is of interest to larger marketing companies, and as such there as be quite a substantial amount of research carried out on the subject. Obviously trends change but these statistics are reviewed yearly enabling us to change and adapt along with the culture of social media. If you have yet to venture into the world of social media and are slightly reluctant to do so, here are a few statistics that I’m sure will convince you otherwise. 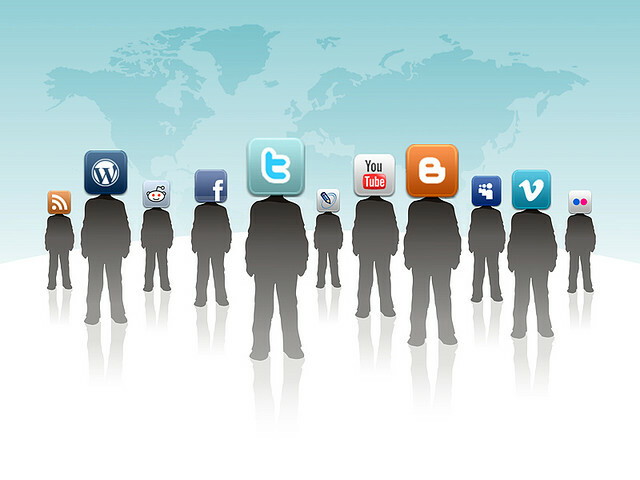 Of the billions of adults that use the Internet 73% use a social networking site. When we consider that the number of individuals using the Internet is about to reach 3 billion this percentage becomes quite staggering. If all these Internet frequenters were using just one social network our lives would be considerably simpler, but currently 42% of those online are using multiple sites. The percentages of male and female social media users are almost even, at 71% of men and 62% of women. These staggering results make it clear that we should undoubtedly be using some form of social network, but which one? If we look closer at the 5 main social networks it is clear that different members of society favour some sites over others. As by far the largest of all the social networks. Facebook is a common choice for those starting out. The site currently has over 1 billion users, this means that over one third of all Internet users are registered with the social network, with 63% of these users visiting Facebook every day. Just over half of Facebook’s users are female at 58%. This is a trend that reflects most social networking sites. In the social media world, women hold the majority. It is when we look at the income of users that we see the largest gap in figures. It seems that this particular network is most popular with those who earn over $75,000 a year. At the highest pay bracket most of these individuals will generally have larger disposable income than that of lower earners. This could explain why Facebook has become a hot bed for advertising. When compared to Facebook the users of Twitter seem minuscule, at only 18% of online adults. But, this percentage equates to 550 million registered users, 215 of which are active on the site at least once a month. Twitter is one of the social networks that bucks the gender trend, the majority of those using the site are male. It is so popular with men in fact, that 22% of male Internet users are members of Twitter. Half of all Twitter users are active at least once a day and, unlike Facebook, Twitter users are able to view posts of every person they follow on their new streams. This means that any post you might produce won’t get pushed aside by irritating algorithms. If the majority of your customers are female then Pinterest is definitely a site you should be active on. A staggering 72% of its users are women, earning $50,000 and above. Pinterest shows the most considerable gender divide than any other social network site. Most of those individuals who frequent the pages of Pinterest’s are avid iPad users. In fact just over 48% of all media shared on iPads is done so via Pinterest. All though arguably a niche market this social network attracts 20 million active users every month. It seems that it is the young who are snapping photos and posting them on Instagram. 90% of the sites users are under 35 years of age. This young appeal is a good explanation as to why the income of the majority of Instagram’s users earn below $30,000 a year. Business wishing to advertise should not be put off by this the average income does not take into account parental earnings. The number of online adults using the site is only one percent below Twitter at 17%. Over half of Instagram’s users visit the site at least once a day, this means any promotional material you post is likely to be seen by the majority of your viewing audience. As the newest social network there has been far less research carried out on Google+. Despite the site being still in its infancy Google+ has accumulated over 1 billion users, 359 of which are active at least once a month. Although it is yet unclear as to the age range or income of this large collection of users, I can tell you that the social network holds the largest percent of male users, with only 36% being women. Unfortunately you can never be sure what percentage of your own audience dominates various social media’s, these worldwide trends should give you a good idea of who you are talking to. By tailoring your advertisements and posts to suit the main demographic you are far more likely to achieve a positive, and effective, response to your time on social media.